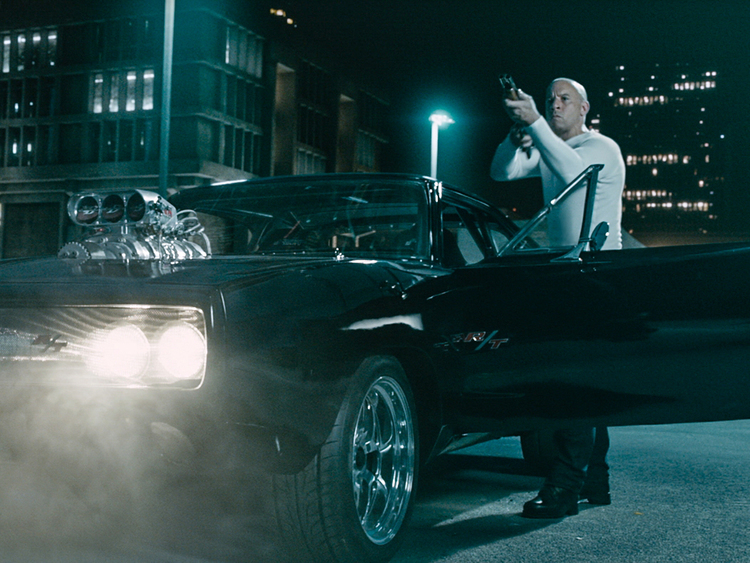 Having bested Owen Shaw and his gang in the previous instalment, now Dominic (Diesel), Brian (Walker), Letty (Rodriguez), and what seems like every main character from the series, have to pull together – with the aid of the mysterious Mr. Nobody (Russell) to take down his vengeful brother, Deckard Shaw (Statham). Throw in the hunt for a software programme, and its creator (Emmanuel), that can track anyone anywhere in the world, a trip to Abu Dhabi, and the usual amount of hyper-realistic cartoon violence, and you have the most successful entry in the franchise to date with, at time of writing, a worldwide gross of $1,352,724,000 (making it the fourth highest grossing movie ever). In an attempt to retire the Avengers from group duty, Tony Stark (Downey Jr) creates a robot that comes equipped with artificial intelligence. Only there’s a flaw: the robot, named Ultron (Spader), sees the best way of carrying out his peacekeeping mission is to wipe out the human race (and thereby ensure a peaceful world). With internal conflicts hampering their efforts to combat Stark’s creation, the introduction of Quicksilver (Taylor-Johnson) and Scarlet Witch (Olsen) to the mix, a showdown between the Hulk (Ruffalo) and Iron Man in his Hulkbuster suit, and Ultron planning an extinction level event, you have a sequel that has made $424,460,000 at the box office in just over a week. And so we have the first two candidates for 2015’s Mega-Blockbuster of the Year Award. In the red corner we have the testosterone-fuelled, carmageddon-inspired Furious 7, and in the blue corner we have Avengers: Age of Ultron, the latest juggernaut designed to increase Marvel’s grip on the world and its wallet. The inclusion of their box office takes is deliberate, as this is really what both these movies are about: making as much money as possible off the back of a heavily marketable idea. That the idea is becoming stale (Furious 7) or showing signs of running out of steam already (Avengers: Age of Ultron) is neither here nor there. These movies are guaranteed crowd pleasers, and all the studios that make them have to do is give the fans enough of what they like most to ensure those big box office grosses. It’s a well-known fact that recent entries in the Fast and Furious franchise have been built around the action sequences: the stunts come first and then a story is created around them. Such an approach isn’t exactly new, but as the series continues, it appears that the writer, Chris Morgan, is fast running out of ways to keep it as real as possible given the absurd, physics-defying world Dominic and his family live in. Morgan has scripted every movie since The Fast and the Furious: Tokyo Drift (2006), and this time round the law of diminishing returns has clearly set in with a vengeance. With its dodgy timescales, crude attempts at characterisation, and action sequences that go on and on and on without ever changing pace (or should that be, gear? ), Furious 7 is a movie that believes in its hype so much that it’s forgotten it still needs to make an effort beyond what’s expected of it. Of course, script revisions had to be made due to the untimely death of Paul Walker, but like so many of the cast, he’s marginalised in a movie that has too many characters and too little time to do much with them apart from put them in continual jeopardy. Brewster is sidelined in the Dominican Republic (admittedly, not so bad), Johnson winds up in hospital until needed at the end, and Walker’s contribution seems reduced to fighting Tony Jaa. But with the script showing more interest in the villains (Statham, Hounsou, Russell maybe) than its heroes, it comes as a bit of a shock to realise that the main characters have nowhere to go – everyone, even Letty with her amnesia, is still the same as they were when they first appeared. Maybe this kind of familiarity is what the fans want but ultimately it just means that future entries – and there are three more planned for release – will continue to mine the same formula and with less satisfying results. The same problem that occurs in Furious 7 occurs in Avengers: Age of Ultron, namely what to do with so many different characters, especially the new ones. Writer/director Whedon doesn’t appear to be as sure this time round as he was on the first Avengers movie (and it may be why he won’t be helming the two Avengers: Infinity War movies). 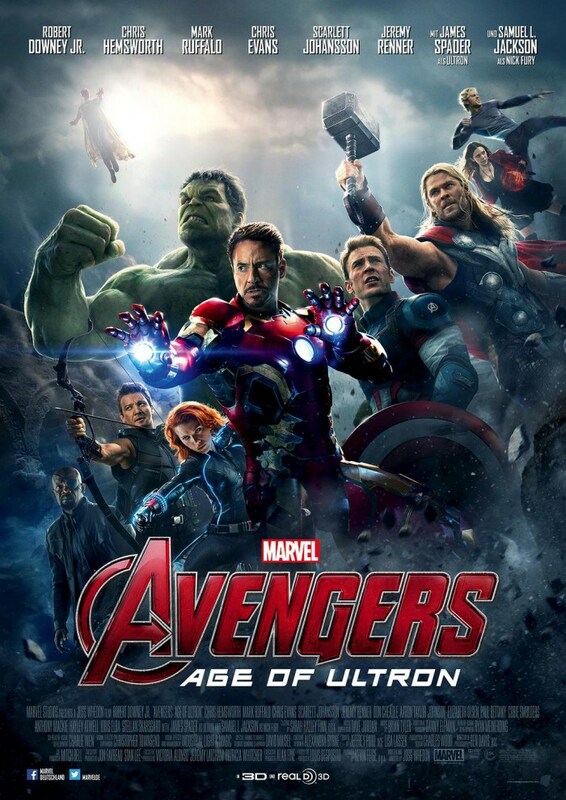 While he does effective work exploring the personalities and idiosyncrasies of the Avengers themselves – Stark’s continuing egotism, a burgeoning relationship between Bruce Banner and Black Widow (Johansson), where Hawkeye (Renner) spends his downtime – he’s less successful when it comes to the villain, the villain’s sidekicks, and the whole let’s-level-a-city-and-cause-as-much-destruction-as-possible angle. With so many characters to deal with, it’s inevitable that some of them don’t receive as much attention as others. The introduction of Quicksilver and Scarlet Witch is a case in point, with Taylor-Johnson reduced to asking people he’s knocked over if they saw that coming (and not just once), and Olsen saddled with a perma-frown as she casts spells on people. They have a back story but it doesn’t impact on how they behave in the movie, and their teaming up with Ultron seems convenient rather than a well thought out plot development. Likewise, we have appearances by Kretschmann (dispensed with too quickly), Serkis (as an intro to his character’s appearance in Black Panther), and Delpy (as Natasha Romanoff’s childhood instructor). All great actors, and all reduced to walk-ons in the service of the ever-expanding Marvel Cinematic Universe. But all great superhero teams need a great villain, and while Ultron seems to pass muster, the main problem with him is the actor cast to play him. Now it’s not that James Spader is a terrible actor – far from it – but what’s clear from his performance is that, rather than come up with an entirely new characterisation, he’s gone for a slight deviation on Raymond Reddington from The Blacklist… and it’s been encouraged. As a result we have a robot that often sounds whimsical rather than destructive, and petulant when he should be megalomaniacal. 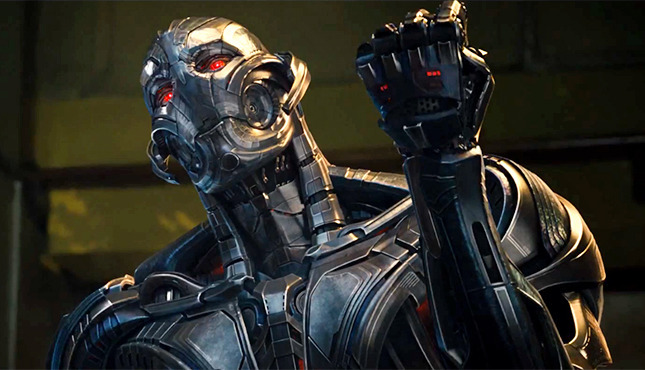 Whedon is good at injecting comedy into his movies – here, the throwaway line “No it wasn’t” is used perfectly – but when he tries too hard, as he does with Ultron, the effect is lost, and the viewer could be forgiven for wondering if Ultron is meant to be so eccentric. 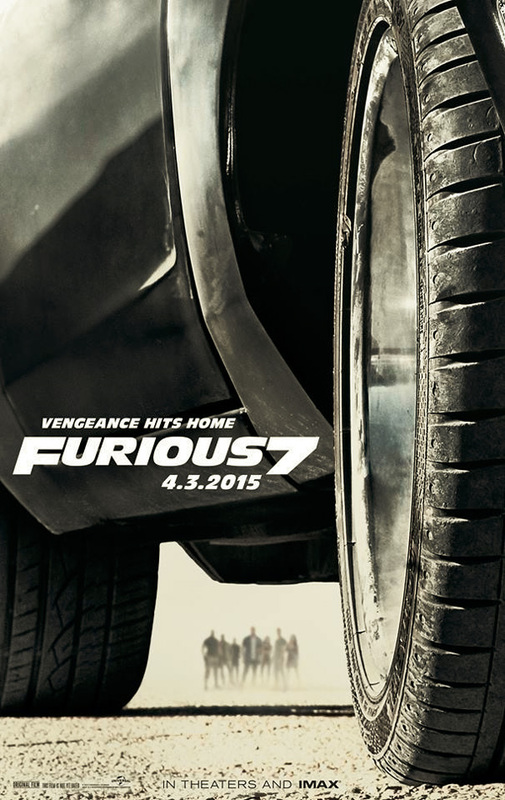 Furious 7: 6/10 – overblown (though no surprises there) and lacking a coherent story, Furious 7 has all the ingredients the fans love, but as a tribute to the late Paul Walker it falls short; a triumph of hype over content, someone seriously needs to look under the hood before taking this particular baby out for another drive. Avengers: Age of Ultron: 7/10 – overblown and lacking in any real drama, Avengers: Age of Ultron skates perilously close to being Marvel’s first dud since Iron Man 2 (2010); saved by Whedon’s attention to (most of) the characters, it lumbers through its action set-pieces with all the joy of a contractual obligation.